Eliminate the unsightly clutter from your patio and deck area while keeping everything handy with our good-looking Outdoor Storage Boxes. 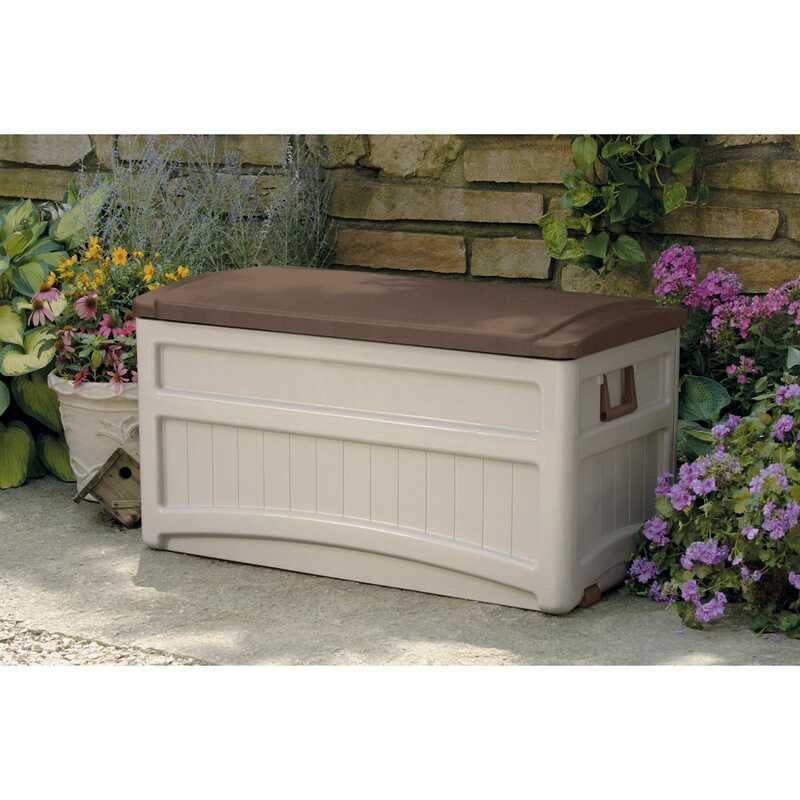 Our Outdoor Storage Boxes are the perfect solution. Each is constructed of durable resin that’s designed to withstand outdoor elements all year while keeping contents dry. The matching, stylish appearance and neutral taupe color blend nicely with any décor. Never needs painting either. Assemble in minutes without tools. Stay-dry design protects contents from the elements and may also be used for additional seating and with two added wheels and handles for hassle-free portability. Ideal for stowing anything from garden tools to pool or spa chemicals. Nearly 10 cu. ft. of storage that measures about 46"w x 22"d x 23"h; weighs 31 lbs. Made in the USA.